Compare ours to other chalk paint....you WON'T be disappointed!! Warm, deep red. Reminiscent of the side of an old barn. I love this color with some Besr Darn Wax in Black. I have painted several pieces in this combination and they sell fast and I get tons of complements. As a noob, this paint was amazing to use on an old kitchen set I picked up second hand. It was easy to use, the directions are clear and the color is VIBRANT. I now have a gorgeous table! I chose the barn red and I WILL be back for more. Thank you! We absolutely love this paint and color. It was so easy to paint. No sanding or preparing needed. I highly recommend this product for any projects. We will be ordering more in the future. Love the barn red. Used it along with Mason Dixon Gray and Midnight sky to paint my grandsons dresser and then some decoupage on top. 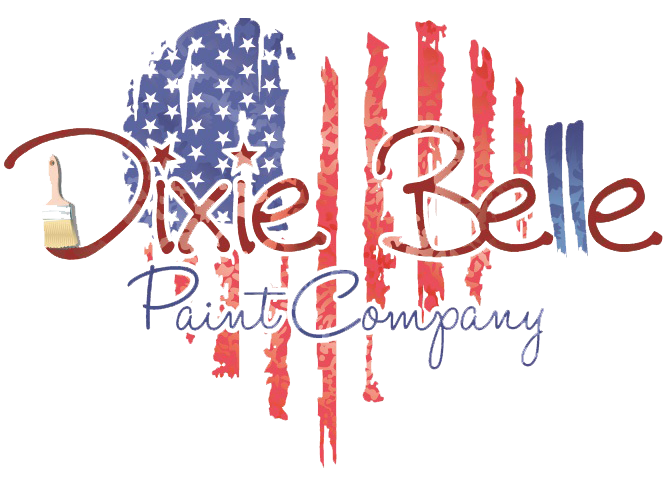 Love all the paints, I've never used a chalk paint as excellent as Dixie Belle. It's smooth, creamy and no smell what so ever! I absolutely love this color for my primitive projects and my customers do too!! I sold out of Barn Red the first day my display was up. I'd purchased a jar of this color from another retailer when I first was introduced to Dixie Belle paints and painted several pieces with it, put them up with my Dixie Belle display and they sold within the first week! Excellent paint, great consistency and coverage. Barn red is a true rustic red. BARN RED describes it perfectly. I was truely impressed with the amount of pigment in this paint. You do not need a lot of coats to see the true color. It also is the perfect Red for my rustic, country clients. Not too bright or dark. Great Coverage and Great Color! Barn Red is the best! As smooth as Grandma's red velvet cake, only it doesn't take 5 bottles to get great coverage! If you want that rare, 2-coat coverage from a red, this is the one for you.